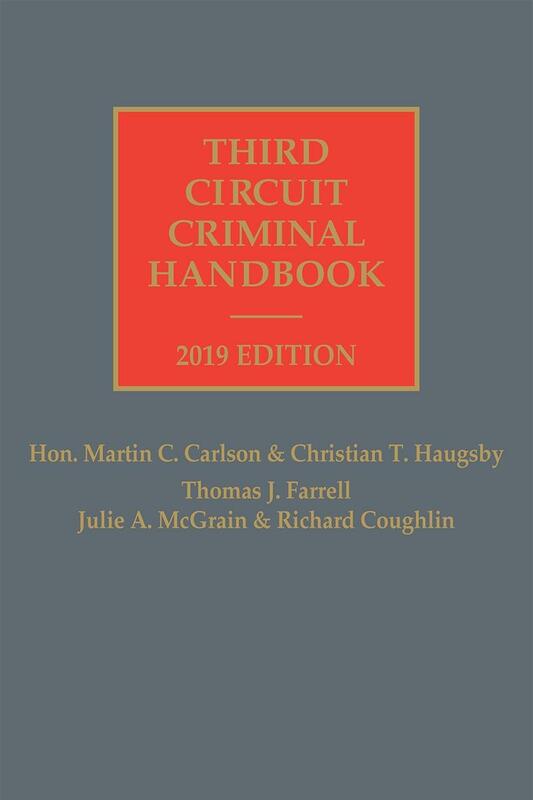 Covering hundreds of criminal issues, this handbook gives litigators, judges, law clerks, and federal enforcement personnel clear, practical analysis geared to the needs of a busy criminal law practice. 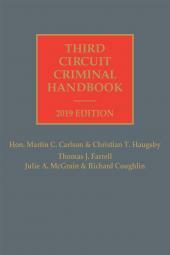 Dont handle your next Federal Criminal case in the Third Circuit without the Third Circuit Criminal Handbook, only from LexisNexis. Judge Carlson served in the United States Attorneys Office from 1989 through 2009. During his tenure Judge Carlson held numerous positions within the United States Attorneys Office, and twice held the post of United States Attorney. In 2004 Judge Carlson was part of a trial team that received the Attorney Generals Anti-Fraud Award. Judge Carlson was appointed as a United States Magistrate Judge in August 2009. In January 2013, Judge Carlson was appointed Chief United States Magistrate Judge for the Middle District of Pennsylvania. Christian T. Haugsby is currently the law clerk to Hon. Martin C. Carlson. Richard Coughlin is the Federal Public Defender for the District of New Jersey. Prior to his appointment as the Federal Public Defender in 1997, he served as an Assistant Federal Public Defender for 12 years, and as a Deputy Attorney General for the State of New Jersey for three years. 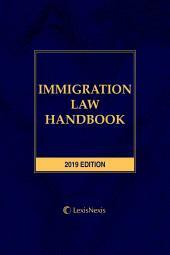 Mr. Coughlin taught as an adjunct professor at Rutgers University School of LawCamden from 1999 to 2007. 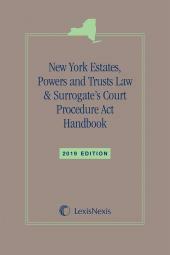 Mr. Coughlin is a graduate of Stonehill College (1978) and Rutgers University School of LawCamden (1981). 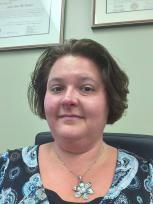 Julie A. McGrain is a Research and Writing Attorney with the Federal Public Defender for the District of New Jersey. She earned her J.D. with honors from the University at Buffalo School of Law in 1997 and been with the Federal Public Defenders Office since April 1998. Ms. McGrain also teaches as an adjunct professor at the Thomas R. Kline School of Law at Drexel University. Mr. Farrells practice focuses on criminal defense, ranging from pre-indictment investigations and negotiations and the representation of witnesses and victims, to trials, appeals and post-conviction petitions; from white collar matters such as health care fraud, tax evasion, complex securities frauds, and environmental crimes, to capital murder. Mr. Farrell has a long and varied career as a private and government lawyer, including as an AUSA in Pittsburgh, where he prosecuted financial crimes and public corruption. He was awarded the Directors Award from the Executive Offices of United States Attorneys. Before his term as an AUSA, Mr. Farrell was an Assistant Federal Public Defender in the Eastern District of New York. He started his career as law clerk to U.S. District Judge Diamond of the Western District of Pennsylvania. Mr. Farrell is active in community affairs and in efforts to improve the legal system. He teaches White Collar Crime at the University of Pittsburgh School of Law. He is a member of the board of directors of the Pennsylvania Association of Criminal Defense Lawyers. He was a co-author of the ACLU s report on the Allegheny County Office of Public Defender, A Job Left Undone  (October 2011 ). He sits as a hearing officer for the Pennsylvania Attorneys Disciplinary Board and has presided over a Coroner s inquest in Westmoreland County involving allegations against a public official. As special counsel to Marshall Dennehey Warner Coleman & Goggin, Jack leads the firm s white collar defense practice and assists its health care, privacy and professional liability clients with responses to government audits, grand jury and regulatory investigations and prosecutions. Jack also assists its clients in conducting internal investigations. As a trial lawyer, Jack has handled more than 50 criminal and civil jury trials and a substantial number of non -jury cases. He has represented many corporate employees and officers, as well as physicians in state and federal courts. 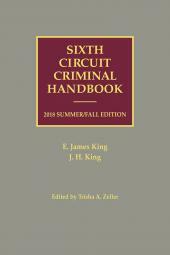 Following graduation from Temple University School of Law, Jack was a trial attorney for three years with the Bureau of Investigations and Enforcement of the Interstate Commerce Commission. During this period, Jack brought various enforcement actions against individuals and companies involved in the surface transportation industry. Jack then worked for two years as an associate with a prominent civil and criminal litigation firm in Philadelphia, Pennsylvania, after which he established a successful civil and criminal practice that he operated as a sole practitioner for almost 20 years. Jack left solo practice to become a partner in the white collar criminal boutique firm and, after more than eight years, left to join Marshall Dennehey. Jack is currently a member of the America Israel Public Affairs Committee and its Philadelphia area Leadership Council. He is also a member of the Pennsylvania Criminal Defense Lawyers. Jack has also been awarded an AV® Preeminent by LexisNexis Martindale -Hubbell.